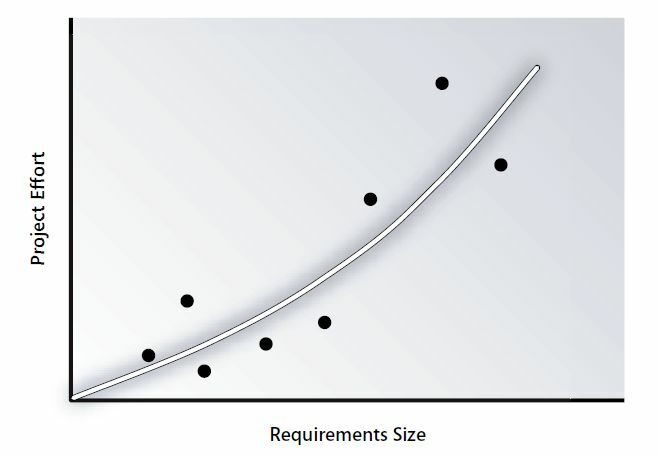 This article continues the exploration of requirements-related metrics that I began in Part 1, which looked at measuring product size and requirements quality. Figure 1. Correlating requirements size with project effort gives a measure of team productivity. Each point represents a separate project.